As the holiday season begins, the Walt Disney World Resort has some festive and magical events planned for guests. Over at the Magic Kingdom, Mickey’s Very Merry Christmas Party is happening on select nights through December 20. Mickey’s Very Merry Christmas Party is hard ticket event takes place on select dates in November and December. Guests get to enjoy a stage show with Disney characters in their holiday best, a holiday parade, and even snow flurries on Main Street U.S.A. The remaining dates for Mickey’s Very Merry Christmas Party are: November 22, and December 1, 3, 5, 6, 8, 10, 12, 13, 15, 17, 19, 20. Each Disney Park is celebrating the holidays with special events. 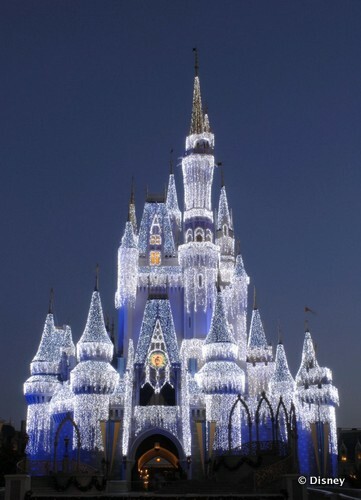 At the Magic Kingdom, Cinderella’s Castle is glowing with 200,000 shimmering white lights, and guests can also take a cruise on the Jingle Cruise as the Jungle Cruise gets a holiday makeover. In Epcot, guests can celebrate Holidays Around the World throughout World Showcase, while Disney’s Hollywood Studios celebrates with The Osborne Family Spectacle of Dancing Lights through January 5. And Disney’s Animal Kingdom will be rings in the holidays with Mickey’s Jingle Jungle Parade. Performances of the Candlelight Processional take place at 5, 6:45, and 8:15 p.m. at the America Gardens Theater. Guests can purchase a Candlelight Processional Dining Package that combines lunch or dinner at select Epcot restaurants with guaranteed seating for the Candlelight Processional. Walt Disney World Resort guests can ring in the New Year with special meals at the parks and at some resorts. The Biergarten Restaurant in Epcot’s Germany has lunch and dinner New Year’s celebrations, and La Hacienda de San Angel in Mexico has a New Year’s Eve dinner. Le Cellier is offering three seatings for guests, while Monsieur Paul in France starts the New Year’s celebration at noon with available seatings throughout the day and evening. Special New Year’s Eve dining is also planned at Flying Fish Café at Disney’s Boardwalk, Citrico’s Victoria & Albert’s, and Narcoossee’s at Disney’s Grand Floridian, California Grill at Disney’s Contemporary Resort, and Whispering Canyon Café at Disney’s Wilderness Lodge. A New Year’s Day brunch is planned for Chef Mickey’s, while a New Year’s Day breakfast is on the menu at Boma. For all the information you need to plan your holiday trip to the Walt Disney World Resort, our friends at the Disney Food Blog wrote the DFB Guide to the Walt Disney World Holiday 2013 e-book. It features 270 pages of information on holiday dining, resort decorations, entertainment, and more. You can purchase and download the e-book at the DFB Store. This entry was posted on Friday, November 22nd, 2013 at 1:00 pm	and is filed under Dining, Hotels, Planning, Theme Parks. You can follow any responses to this entry through the RSS 2.0 feed. You can leave a response, or trackback from your own site.